Last week, my friend Ellyse and I set out to tramp (hike, in New Zealand speak) the Gillespie Circuit in the Southern Alps. 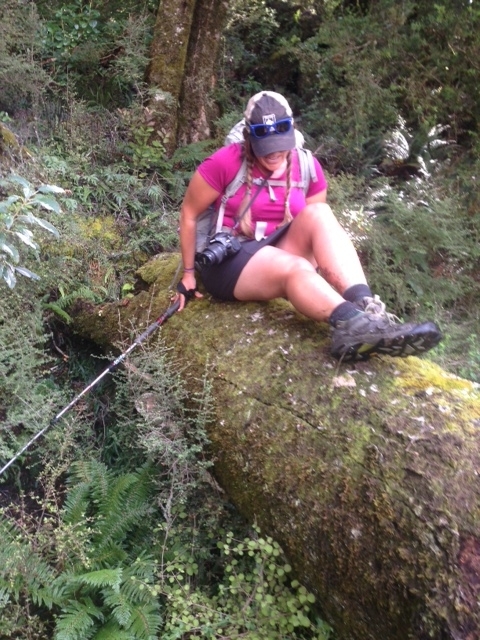 Our 8 1/2 hour adventure on Day 1 was a typical snapshot into your average tramp in the wilds of New Zealand. 9:30. Drive the Lucky the Legnum (AKA the Miracle Wagon) to an unmarked road where we can leave her for four days. 9:45. Scout the Makarora to find a good place to ford the river to head up the Wilkin Valley. No track (trail, in New Zealand speak), no markers. Choose your own adventure! 10:15. Three river braids later, stop on the other side. Remove wet shorts. Put shoes on. 10:20. Remove shoes to cross diversion ditch. Walk barefoot for inordinate amount of time, just in case. 10:30. Put shoes on. Regret it 17 seconds later. 10:45. Stumble on first track marker. Pat ourselves on the back for our excellent orienteering skills. 11:00. First section of washed out track. Get creative with roots, boulders, hiking poles, and anything else at hand. 11:45. I slip on a section of five-foot vertical wet rootwad. Ellyse compliments me on my graceful fall. 11:50. I slip again and tumble a few feet down. Ellyse decides this is due to an alarming lack of chocolate intake in the last few hours. We find a lunch spot. 11:55. Run away from lunch spot trailing food detritus to escape voracious sandflies. Pace awkwardly on the riverbank while shoving food in our mouths. 1:30. Track disappears. Spend too much time zig-zagging around the knee-high grass looking for it. We come upon a grave marker in the flats and start to lose hope (I’m not kidding). 2:00. Track re-appears. Much rejoicing. 2:30. Track disappears. This time it’s not funny. 4:00. Snack. Chocolate. Hope springs eternal. 4:15. Begin the climb over the pass. 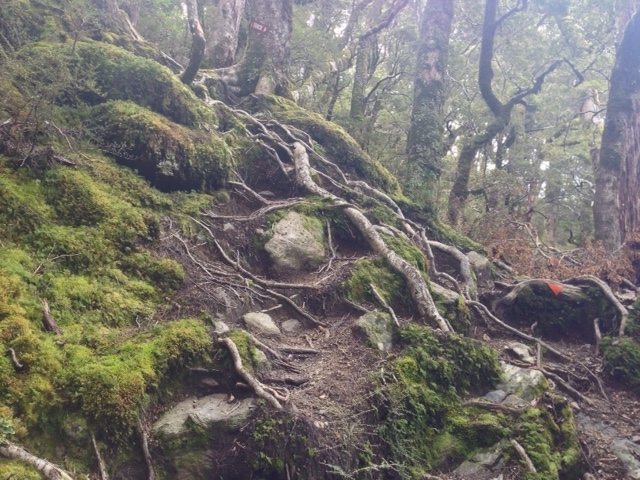 This track is blessed with switchbacks, a rare find in New Zealand where tracks are usually general suggestions straight up a rocky mountain face. 5:15. Siberia valley opens up below us. Much gasping and photos. 6:15. Arrive at Siberia hut. Take in the view. Sigh with contentment. 6:16. Rush inside the hut to escape hungry sandflies.